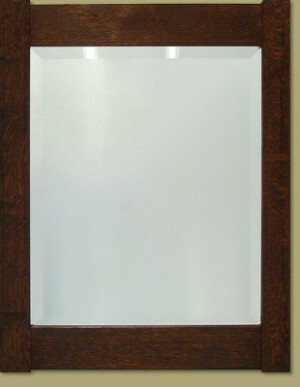 Framed in our own handmade mortise and tenon frame, this elegant beveled mirror will add a distinctive touch to any room. Deep 1 inch bevel. This item may also be ordered in custom sizes, please call for a quote. For the 16 x 20" inside dimension the outside dimension is 19-1/2 x 25-1/2". For the 11 x 14" inside dimension the outside dimension is 14-1/2 x 19.5". For the 8 x 10" inside dimension the outside dimension is 10-3/8 x 14-1/2".